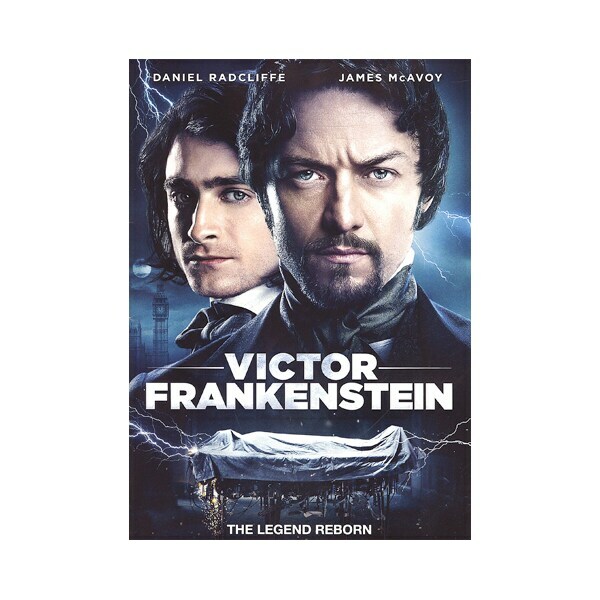 Discovering the mistreated hunchback Igor (Daniel Radcliffe) at a circus, London medical student Victor Frankenstein (James McAvoy) cures him, and finds that the young man possesses a vast knowledge of anatomy. In this intriguing 2015 revisionist take on Mary Shelley's novel, Frankenstein's quest to discover the secret of immortality leads him to create a monstrous being known as Prometheus; the inventor's classmate Finnegan (Freddie Fox) wants to gain control over the creature, while crusading police inspector Roderick Turpin (Andrew Scott) wants to destroy it. Much as he longs to settle down with Lorelei (Jessica Brown Findlay), Igor intervenes in hopes of saving his friend from his enemies, his creation, and his ambition. The DVD includes a seven-part documentary on the making of the film.